Peppered with insights from ancient rabbis and anecdotes from modern Christian life, this edition of Torah Club demonstrates the value of Torah for Christian living today. Includes connections to the New Testament and writings of early Christians. This volume introduces students to both the Jewish Roots of Christianity and the world of Messianic Judaism. More than just a weekly reading guide or Bible commentary, Unrolling the Scroll is filled with new insights and practical implications which exhort us to practice righteousness while developing a deeper relationship with our Father in Heaven. Shadows of the Messiah presents an eye-opening, year-long discovery of Messiah in the Torah. Lift the veil and see the person of Messiah revealed within the Torah. Employing a wealth of Jewish commentary and rabbinic insights into the weekly Torah portions, Shadows of the Messiah is like walking the Emmaus Road with the King himself where “beginning with Moses and with all the prophets, He explained to them the things concerning himself in all the Scriptures” (Luke 24:27). You will feel your heart burn with excitement as you dive deep into the study of Torah every week, and experience real encounters with the Living Yeshua. To truly know Jesus, we must also know him as Yeshua the Jew, the Messiah, and the King of the Jews. We must weigh the ramifications of those titles and grapple with the realization that Jesus never left Judaism or started a new religion. Chronicles of the Messiah builds on that perspective to study the whole gospel story within the context of Judaism and the Jewish people of Jesus' day. Chronicles of the Messiah present an extensive harmonized study of the Gospels from a Messianic Jewish perspective. Chronicles of the Messiah takes students on a passage-by passage study through the story of Messiah, reconciling all four Gospels into one continuous narrative, perfect for weekly studies in the Gospels. The five books plus appendices of Depths of the Torah offers in-depth study into the stories and laws of the Torah from Genesis to Deuteronomy. Unravel the mysterious laws of clean and unclean, the detailed sacrificial system, the priesthood and Temple, and discover their deeper, Messianic meanings. Reconcile the Gospels with the harsh laws of Torah, including slavery, capital punishment, stoning rebellious sons, and taking eye-for-eye. Depths of the Torah examines each of the 613 commandments in detail through the eyes of the sages, the Messiah, the Prophets, the Gospels, and Paul’s writings. Study biblical poetry, narrative form, midrash, and New Testament interpretation with a literary approach to Torah study. 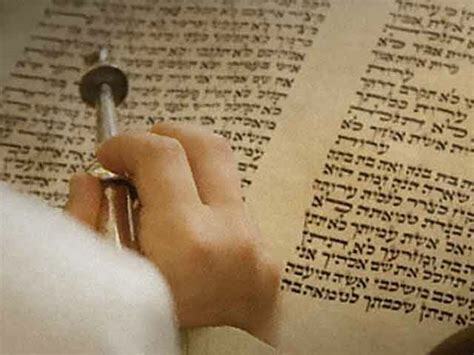 Examine apostolic interpretations of Torah and compare with rabbinic thought. Devotional, inspirational, and unapologetically Messiah-centered, Depths of the Torah offers practical direction for Torah-living. Chronicles of the Apostles present Messianic commentary on the book of Acts with Jewish insights into the origins of our faith. Chronicles of the Apostles goes beyond the book Acts and opens the lost chapter of Messianic Jewish and Christian history. In a Bible study that reads like an epic novel, Chronicles of the Apostles harmonizes Josephus, rabbinic lore, and apostolic legends to tell the story of the martyrdom of Peter, the work of Thomas, the flight to Pella, the fall of Jerusalem, John’s exile on Patmos, the Roman persecutions, the second generation of disciples, the transitions from Sabbath to Sunday and from apostolic Judaism to Christianity. Rewind your religion and discover the truth about our Jewish roots.